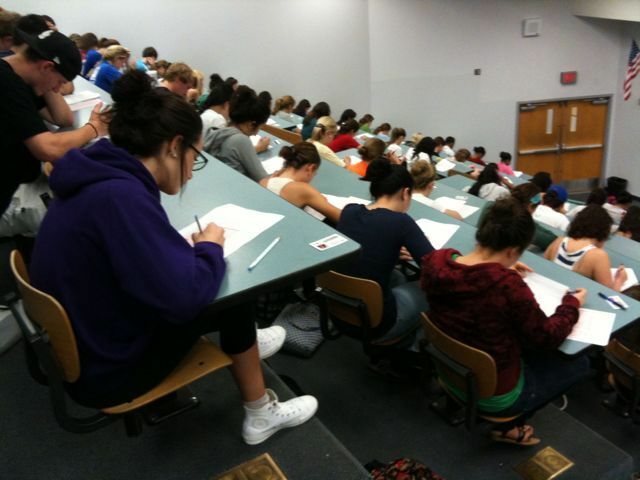 A very filled auditorium for today’s exam. Scantrons, pencils and three versions of the exam. Only when we had distributed the exam did we realize a problem with the numbering for one exam version. Fortunately, with an announcement, the exam was corrected by the students. Do you have a story of an exam error or exam day problem? Looks like a packed house! Did anyone forget to show up for the exam? Or, maybe you won’t know that yet?